Seacourt P&R – Key Point 1: a clash with OFAS? The first image is a part of a plan, from the Environment Agency, of the proposed Oxford Flood Alleviation Scheme (OFAS) north of the Botley Road. This shows (as at 16 September 2016) that a key flood defence bund is planned for that scheme, running through the area where the car park extension is proposed. The second image shows the area for the proposed extension to the Seacourt P&R. It is not clear that the bund and the car park extension could co-exist. OFAS will reduce the risk of flooding in Oxford, vital for people and the future prosperity of the city, not least in the face of climate change. The car park extension proposal is flawed in many ways; the plan should be dropped. OFA is working with the City Council on a plan to upgrade the static pumps at the southern end of Earl Street, and to install either sumps and pumps or a static/passive drainage system to protect the rear of properties on both sides in conjunction with property-level protection. Nick Hills will be meeting council officers shortly to finalise plans. We are hopeful that funds will be made available through DEFRA grants. We asked the EA about progress on our proposals for working with them to ensure that riparian owners maintain the long rural stretches of waterways for which they (the owners) are legally responsible. The EA have prepared an ownership map as we agreed when last we met, so we hope to meet with them again soon. The problem of flood water (groundwater?) in the back gardens on both sides of Earl Street was discussed. It is hoped that pumps in two gardens and property-level protection will resolve the problem: OFA and the City Council are working together on it. OFA’s recent reconnaissance trip by canoe from South Hinksey to Redbridge discovered several serious obstructions, trees and so on. We showed photographs of some of them today and they have been reported to the EA as needing removal. Overflowing sewers being emptied on behalf of Thames Water (TW) in South Hinksey on Christmas Day. A big thank you to the men doing the work for the last few days and right through the Christmas season. Sewer flooding has been a problem in parts of Botley, North and South Hinksey and Kennington for some years, but notably worse in the last three or four. Heavy rain regularly results in manholes overflowing with foul effluent. Before and during the November river floods, sewage overflowed in large amounts in South Hinksey, into houses, gardens and streets. The contaminated effluent entered local watercourses – pollution reports have been filed by the Environment Agency. Nicola Blackwood, MP, called a Public Meeting in South Hinksey. In a packed hall, Thames Water apologised for what had happened, and that some failings of theirs had not helped. They agreed, among other things, to publish plans to address hydraulic overload, blockages and the upgrade of Littlemore pumping station, to include an overview of timelines. In the threatened floods now, TW tankers have been in South Hinksey regularly to empty the sewers, making a great improvement on November. The community now awaits the promised plans. There must be serious problems somewhere, which desperately need sorting out, because the sewers overflow when there is no river flooding – and more seriously in the last few years. 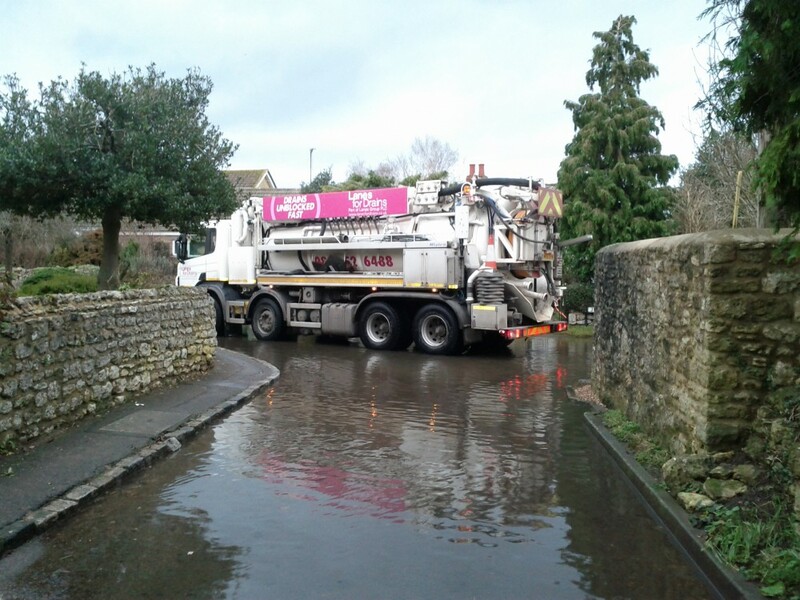 The Abingdon Road area had very similar problems in the November floods, with tankers employed to relieve the sewers. Sewers get overloaded in flood conditions in parts of the Botley Road area.